Kenny Karen’s singing talent landed him a recording contract with Columbia records. After three releases he was let go as an artist, but managed to survive and keep alive his budding writing career. Kenny paid his rent by singing demo recordings for a variety of music publishers who were attempting to place their music with major selling artists. During this period he became friends with Neil Diamond and Tony Orlando and spent a great deal of time in the “other” Brill Building. This background proved to be just what he needed to break into the jingle business. 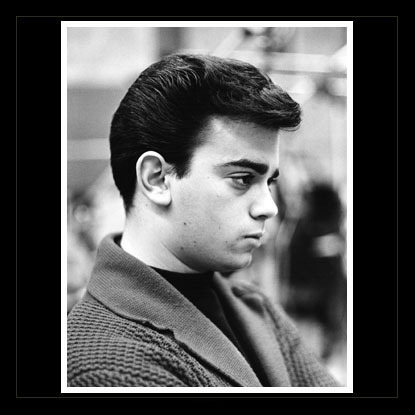 Kenny was the recipient of NARAS’ “Most Valuable Player” award for six consecutive years, and is the only male studio singer ever to be honored with MVP Virtuoso Award, acknowledging his many years of achievement in the jingle industry. Kenny’s voice has ultimately been heard on more than 15,000 radio and television commercials. He remains the last link of studio singers combining the artistry of the “golden years” with the ever-changing world of pop music. Back in 1979 I heard a song and wrote to Procer and Gamble Productions in Cincinnati for info. They sent me the words to THERE WILL BE SWEETER DAYS and I just found the paper with these words. I would love to get the music as well, as I recall it was such a beautiful song. I sure was surprised to find this after all these years !!!! Can you help me ?? Kenny Karen has a website and you can reach him at info@kennykaren.com. He sells CD’s on the site and the song you’re asking about is on one of the CD’s. I would write him to double check that it’s the same song. Kenny wrote thousands and thousands of jingles over the last 40 years, so it’s very possible it’s the song you’re looking for.